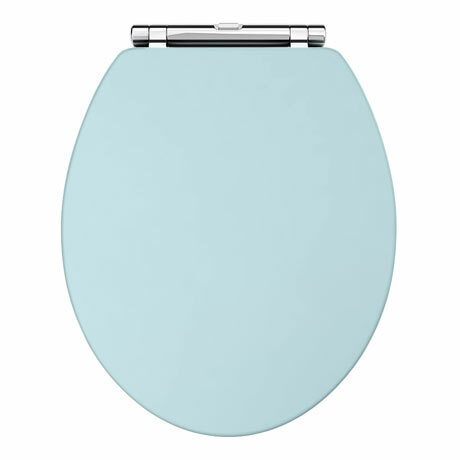 A high-quality traditional round duck egg coloured wooden MDF toilet seat with chrome hinges from our exclusive Downton Abbey range, ideal for creating a period look in your bathroom. Designed to match our collection of Downton Abbey vanity units. Comes with non-slip buffers.